All inclusive Riu Emerald Bay in Mazatlan, Mexico. 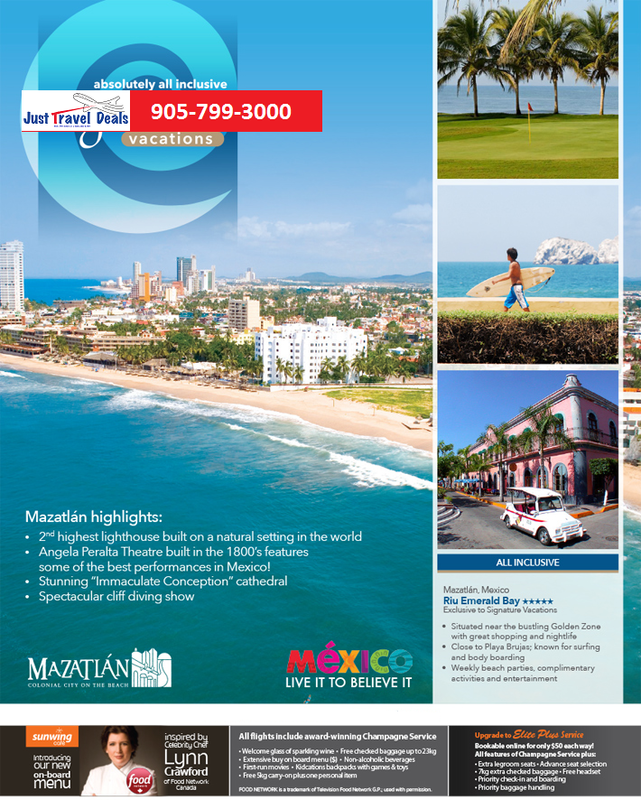 Luxury All Inclusive Resort in Mazatlan, Mexico. Book Online! • Located close to the Golden Zone: home to great shopping and nightlife• Close to Playa Brujas; known for the best beaches for surfing and body boarding• Weekly beach parties and all day activities includedOverlooking the expansive Brujas Beach, the Riu Emerald Bay is an ideal tropical getaway for visitors seeking adventure with relaxation. The nearby Playa Las Bruchas is renowned for its great surfing and body boarding conditions or keep active with complimentary on-site sports like table tennis and beach volleyball. When you’re ready to relax, take a refreshing dip in one of the pristine fresh water pools equipped with hydromassage areas to ease sore muscles or order your favourite tropical beverage from the swim-up bar. Younger guests keep entertained at the RiuLand kids’ club, designated children’s swimming pool and playground. Savour a variety of international cuisines at the Asian, Steakhouse and Mexican restaurants, the latter of which serves authentic local meals prepared by skilled chefs. Do you know which is the #1 Cancun hotel? SAVE UP TO $1,108 PER COUPLE at Dreams Riviera Cancun Resort & Spa!